Home > Untagged Some photos of Sapa during harvest season ! Sapa is always an attractive tourist destination at any time of the year: in winter, white snow falls and cover mountains, in spring plum flowers bloom in the warm sunshine, in summer berries are ripe,and in autumn the colorful beauty of the grain, of sunshine. 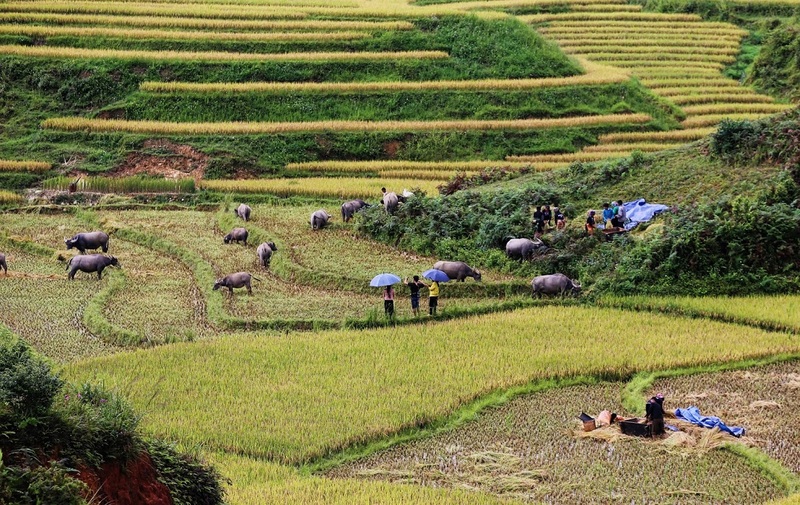 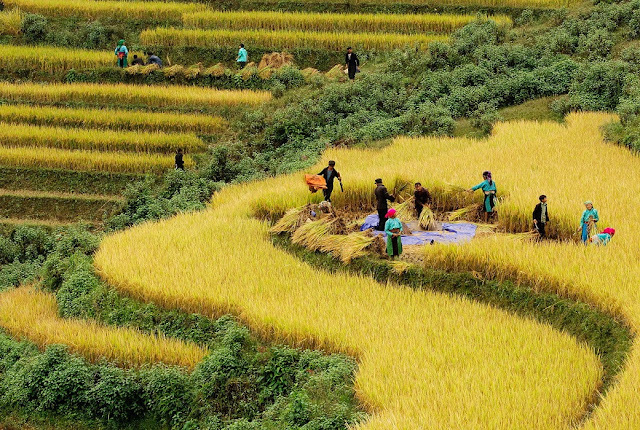 Enjoy a Sapa Tour From Hanoi in the autumn, visitors will see Sapa deluged in the golden color of terraced fields. Around September, October, Sapa entered the "golden season" or "harvest season", is the best time here. 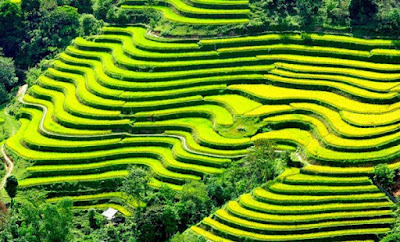 These brilliant, magnificent terraces as the ladder leading to the sky are always an attractive destination for both domestic and international tourists Sapa. 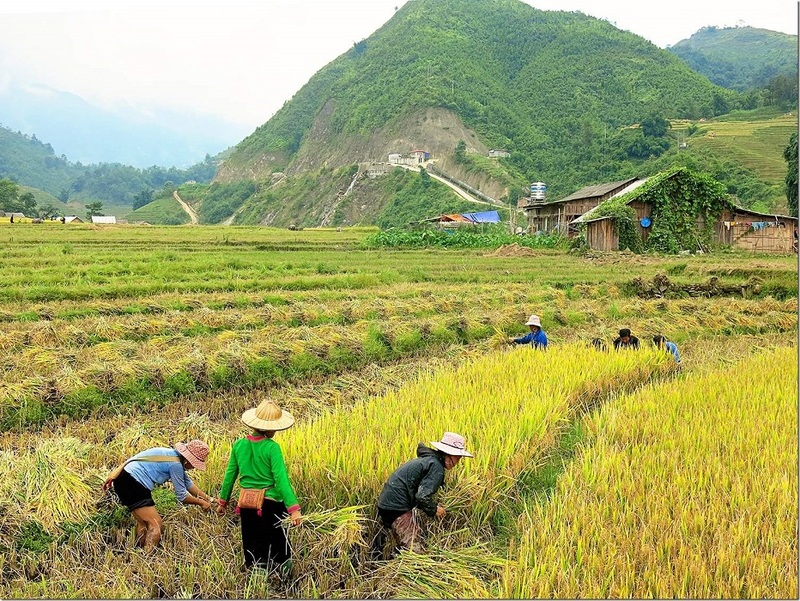 Not only admire the spectacular terraced fields, traveling Sapa in “harvest season" tourists can breathe the fresh air of the autumn. 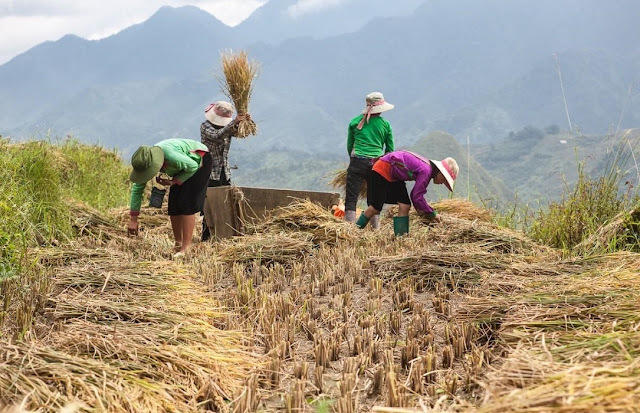 A Sapa is picturesque with wildflowers blooming along the slopes hill, visitors will be immersed in the romantic nature and merge at the bustling atmosphere of the harvest season. 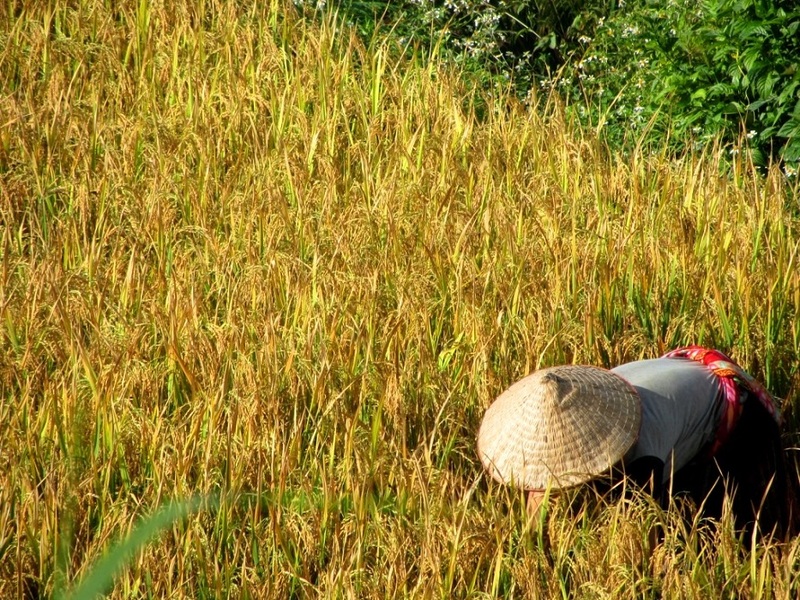 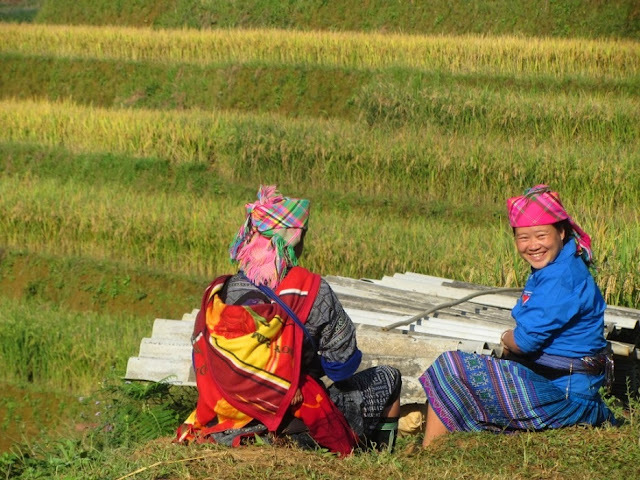 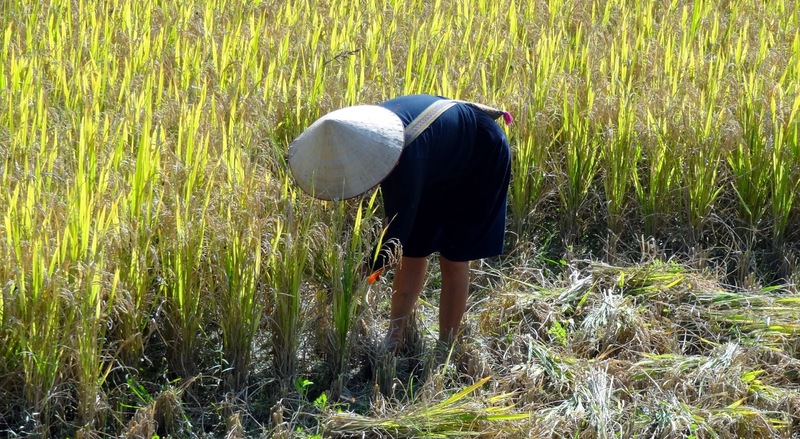 The below are "Some photos of Sapa during harvest season !" 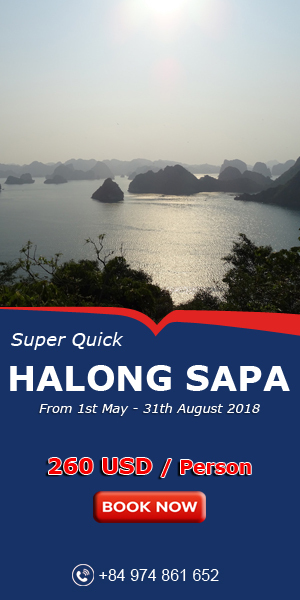 If you want to feel the atmosphere of harvesting Sapa. 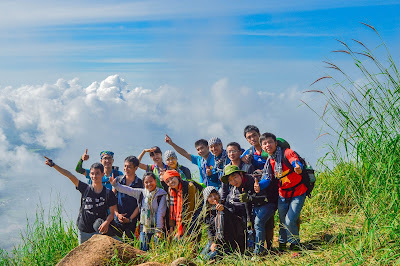 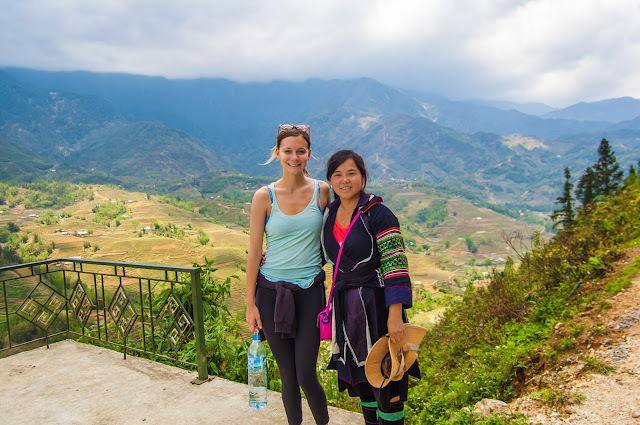 Please booking a Sapa tour now, otherwise you will regret it.